Commissioner Carter was born in Blackfoot, and raised in the Pingree, Thomas area. He was active in 4-H and FFA as he grew up. He helped with his parents’ farm and ranching operation by trailing cows to the summer range, rounding up in the fall, moving pipe, hauling hay and milking cows. He learned the value of hard work and developed a strong work ethic. He attended Snake River High School, where he was involved in FFA and wrestling. After high school, he attended Ricks College for a year and then left for two years to serve a mission in Oklahoma, for the Church of Jesus Christ of Latter-Day Saints. When he returned, he attended Ricks College and then Utah State University. He has also attended continuing education classes from the University of Idaho. 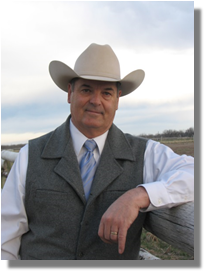 He continued on to have a successful career in farming, ranching and other business interests. Commissioner Carter and his wife Jane have been married for 35 years. They have 6 children, (five sons and one daughter), and fifteen grandchildren. He feels his greatest accomplishment is helping his children and grandchildren to become productive citizens. In February 2008, on a recommendation from the Bingham County Republican Central Committee, he was appointed to fill a vacancy in the Bingham County Commission by Governor Butch Otter. He presently serves as the chair.